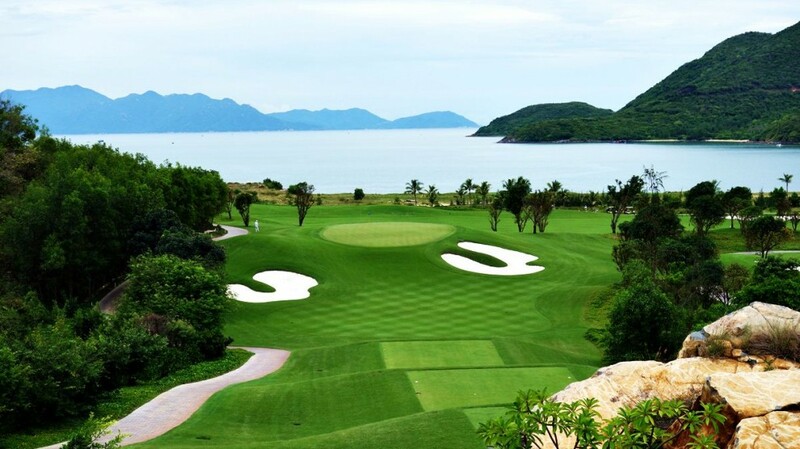 Located on Hon Tre Island just an hour’s drive from Nha Trang Airport, the Vin Pearl Golf Club is part of the 5 star Vin Pearl Resort. 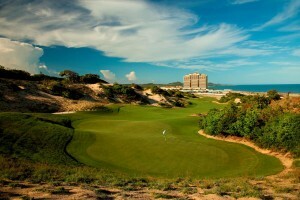 Forbes voted Nha Trang Bay, the resorts location as the most beautiful coastline in Vietnam. 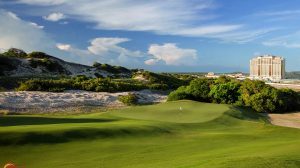 Created by leading designers at IMG, the world renowned sports group, this 18 hole 6,787 yards par 71 course runs alongside over 800 metres of breathtaking shoreline with cooling seas breezes and backed by tree lined valleys. 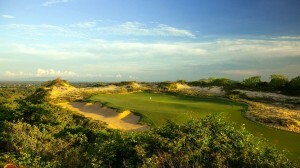 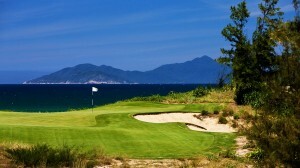 Being created on an island, Vin Pearl is in fact the only course in Vietnam that has an ocean view literally from every hole!  Vinpearl Golf Club is also one of the few golf courses in Vietnam that has received the Certificate of Excellence 2014 by TripAdvisor.com. 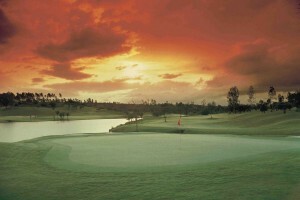 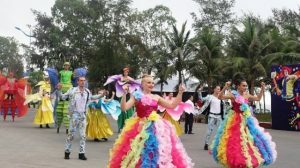 The recognition was from guests who had enjoyed the Vinpearl Golf Club’s scenic beauty and great services. 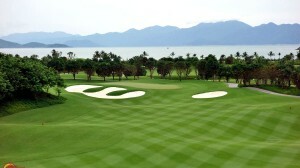 The natural beauty is breath taking, while this clever IMG course design will challenge all levels of skills to the limit. 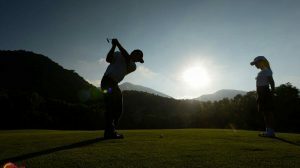 Before you tee off you can even test out your skills at the full sized practice facility that includes all grass teeing area, putting and chipping greens, and two large bunkers. 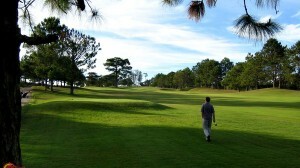 The modern style Clubhouse sits at the highest point looking out over the golf course and the ocean. 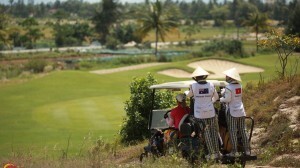 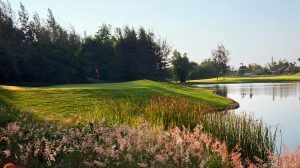 Here golfers can relax after an enjoyable round at the bar or on the veranda or at the spacious restaurant offering sumptuous lunches and light dinners for both Asian and Western taste. 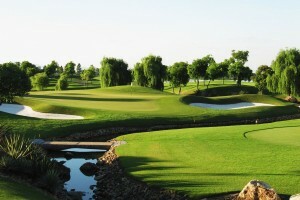 Their spacious first class locker rooms provide shower facilities, daily locker service, and even a quality shoe care. 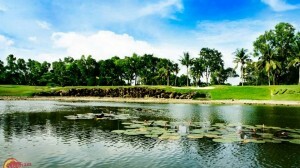 Vin Pearl Golf Club and Resort is truly a five star experience which we are sure you will all enjoy.